What Does Insider Profit Groups Offer? Insider Profit Groups is a make-money-online program and the creator is unknown. You can access it at www.insiderprofitgroups.com/approved?hop=0, and the cost is $9. The first thing I noticed about this program is that I had trouble finding out how to access the sales video again. It’s sold through Clickbank, so when I searched through them, it was listed as The China Secret! The link redirects you to the webpage that I listed above. That immediately set off my red flag alert because I have seen a program called The China Secret before. It was widely regarded as low quality and not something a newbie will be able to make money with by many reviewers. It’s well known that many low quality and scam type programs often get reworked, repackaged, and sold under a new name. So it appears that it’s possible Insider Profit Groups could be a reworked version of the original China Secret system sold previously. So the creator supposedly reverse engineered some successful internet marketing campaigns in a method he calls “ethical wiretapping”. What he discovered, he says, is a little known ‘profit group’ technique–The world’s first and only Facebook group blueprint for complete beginners! You are told that just one of his Facebook groups is earning him $1175 every day on complete autopilot. This amounts to over $428,000 a year! Now, I don’t know about you, but Facebook groups are not new to me and can’t really be described as “little known”, in my opinion, since they’ve been around since about 2005. So another red flag alert went off because it already seemed apparent that Insider Profit Groups is basically going to be information on how to use Facebook groups to make money online. This is not a new concept that “nobody has caught on to”. I went ahead and purchased Insider Profit Groups for $9, and I’ll detail for you next what the program contains! Once I had access to the Insider Profit Groups members area, you are greeted with a Welcome page. On this page they have a section where you can access a Bonus Bundle and one where you can get March’s Profit Pick. Both of these take you to a sales video for a program called Daily Cash App, which is another make-money-online program. I have not reviewed Daily Cash App, but have looked into another program that is just like it–AD Formula. You’re welcome to read my review of AD Formula for more detailed information. But be aware that I considered this a scam and gave it our lowest rating due to the fact that anyone buying this program and using Click2Sell stands a good chance to lose a lot of money! 1. If I just bought a system that has the potential to make me 7 figures a year, why would someone think that I’d be interested in buying another make money online program before even using it? 2. It’s disturbing that this “bonus” program is nothing but a sales video leading you into a ridiculously high priced ad platform. ~ FB Groups Blueprint 1–This is a 22-page eBook that was marketed as “The world’s first and only Facebook group blueprint for complete beginners!” To say that the information is disappointing is an understatement! This blueprint was created in 2017, so there’s nothing new in this system. Out of 22 pages, the first 9 are nothing but an overview and a history of Facebook. The rest of the pages consist of general information for how to set up a Facebook group and general information for creating ads and promoting your group, and then a summary. This is all information you can get from a quick Google search! ~ FB Marketing Secrets–Now if you’re supposed to be able to make $1175 a day on autopilot with Insider Profit Groups, and your blueprint does nothing more than show you general information about a Facebook group, wouldn’t you expect to have really great marketing secrets? Well, you’re not going to find them here! This eBook was created in 2011 and contains 52 sections that talk about all kinds of ways to market your group. The problem is that every one of them is just a 1 or 2 paragraph summary of a general idea. For example, #3 is Find Fans For Your Facebook Page. You’re told to invite all your friends to be fans and then use the share option to get more members–is this information that anyone should be paying money for? I say no! ~ Fan Page Profits–This is another completely general 23 page guide to starting a Facebook fan page and using it to bring visitors to your Facebook page. Again, everything is available online for free, and there is nothing in this guide that will enable any beginner to start making money with Facebook groups! 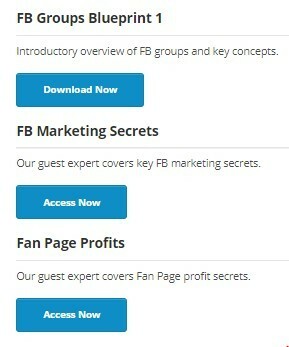 On the last page of Fan Page Profits, you’re given 4 links to useful resources and a bonus. However, no matter what links you click on, you get an error message or a page that says the website is coming soon. So while it looks like there’s a lot of information available, you actually receive nothing! The same goes for links that are on the bottom of every page–you get an error message that the IP address can’t be found. No legitimate program has such low quality materials. So for those who may think that $9 is still pretty cheap for getting some information, you need to think about something. If the material is outdated and found easily online for free, $9 is still too much. What you’re actually paying $9 for is the privilege of letting someone try to sell you more and more expensive programs! ~ The Platinum Group, selling for $197–You don’t get to know what the Platinum Group really offers or what you need it for. They pretty much just tell you that you can earn 23 times more money with their cutting edge profit building systems. So instead of a few hundred dollars a day, you can earn up to $6900 each and every day–which is $207,000 every month! Given all the red flags I’ve seen up to this point and the fact that they tell you basically nothing about this, I had no problem passing on this offer! ~ Crypto Millionaire Calendar, selling for $147–This is supposed to be a bonus offering that could make you up to $2453 every day with no money down. You use the calendar to try to get free crypto, then just watch it rise! I am definitely no expert on cryptocurrency, but I have seen this before and know enough to stay away from this offer. You don’t get something for nothing–enough said. ~ Diamond Profit Booster, selling for $97–How would you like to have all of his campaigns handed to you on a silver platter? Sounds pretty sweet, everything is done for you in multiple niches, and all you have to do is cut, paste, profit! Nothing convinced me that there was anything legitimate in this offer based upon everything I’d seen, so I passed on this last upsell as well. ~ China Secret–This program is accessed at Clickbank through a system called China Secret. This means it’s very possible it’s just a rehashed program under a new name. 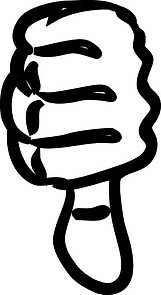 ~ Scammy Marketing–The sales video used all the marketing tactics that I’m used to seeing in programs that are low quality or scams. No legitimate program markets this way, and they’re happy to show you the value of their systems’s features without resorting to scammy marketing tactics. ~ Outrageous Income Claims–I consider the claim that the creator makes over $428,000 a year on complete autopilot from one Facebook group as ridiculous and don’t believe it. I saw nothing in the system that would enable anyone, much less a beginner, to make that kind of money whatsoever! ~ Daily Cash App–The immediate promotion of this program, which is nothing more than a sales funnel to Click2Sell, shows that this is the main way the creators are hoping to get your cash! I encourage you to read my AD Formula review to see why you should run, not walk, away from Daily Cash App! ~ Very Poor Quality Materials–I didn’t see anything in the Insider Profit Groups materials that couldn’t be found online for free with just a quick Google search. There’s absolutely no reason to spend the $9 because all you’re doing is paying for someone to market to you! ~ Risky Upsells–In addition to getting no valid information about what you’re buying with 2 of the upsells, one delves into cryptocurrency. Anyone who doesn’t have experience with crypto is going to be getting into very risky territory unnecessarily. Here at Build Your Early Retirement, we give Insider Profit Groups our lowest rating of 1 out of 5. This system will not produce the results claimed, and you stand to lose money, possibly a lot! I believe that the poor quality materials of the main Insider Profit Groups program were made as a lead in to creating ads thru Click2Sell. Anyone, especially beginners, who are new to paid ads could spend thousands of dollars without getting the profits they need. 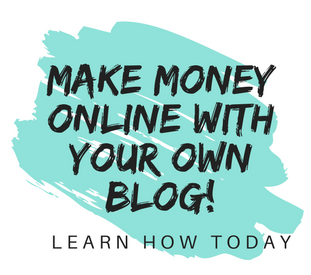 If you are looking for a legitimate way to make money online, you need to know that it will take time, commitment, and effort. But with the right training and program, you can make long-term, consistent, substantial income! I recommend that you check out my #1 rated program and see where I learned to start my online business. With the training I received, the world-class website hosting, and the awesome community, I’ve been able to create 6 websites so far! You can see all the wonderful features they offer by reading my full review, and if you are ready to get started, you can have your first website up in less than 3 minutes by clicking below! Do you have any experience with any of the programs discussed in this review? I’d love to hear about them, along with any questions you have, in the comment section below! Thanks for this candid review about Inside profit group.I had not heard of it before, so you saved me a lot of research time if I did run into it at some point. People are overwhelmed by numerous opportunities out there which they later fall into the hands of scammers. Your article will save folks a lot of time and money from making the wrong decision concerning this opportunity. You’re welcome and I’m glad to know you’re having a great experience at Wealthy Affiliate! I will say there are many program like Insider Profit Groups online especially the ones on clickbanks claiming what is not achievable in a short while.there are many red flags to lookout for when choosing any program especially the ones on clickable because it seems many that are promoting this program are just there to make money out of newbie online. You’re very welcome! These programs target newbies and count on their inexperience to promise things that are unattainable unfortunately. Glad to know you’re getting results with my #1 program! I don’t know if anyone else has noticed this with me but a lot of these “scammy” make money online offering that start with low pricing and then offer more expensive packages, are usingbtjose low prices to attract people and then,deceive the gullible into paying for their more expensive products or services. And most people probably get so disappointed after paying and not getting the worth of their money but in frustration they remain there hoping that there is a light at the end of that tunnel. insider profit groups that has an idea of how to make you earn a slice of the $4billion instead of taking the slice him/herself is not honest.and when they don’t have a face,I withdraw immediately. Thanks for this review,more people saved from lining a faceless humans pocket because he/she needs to get on with making money online. I agree totally–thank you for taking the time to read my review! It’s a great analysis, Janelle. Your review is very much complete, as I’m left with no more question to counter its authenticity. Actually, i get to read this article just at the right time, as I was looking for better money making programs and one of my contact suggested me Insider Profit! Since he has not used this system, so I delayed to get this program. But now, your article is a real eye opener. Thanks a lot for saving me and many others from this scam, through this review. Also, it’s great that you have provided an alternative trustworthy platform to make money online. I’m glad I was able to help! So many of these programs sound good in their sales video, but either lack substance or are just a way to get you into a sales funnel for more expensive programs. This one is guilty of both, in my opinion! The title Insider Profit Groups sounds good. As I have seen multiple companies on the internet with strange names offering opportunities this one appears more serious. My so-called good impression was lost when I read the creator is unknown? Now anybody who has created something good and valuable would be proud of it, right? Anyhow, it started smelling fishy. Really nice to get all this outdated information when you sign up and also links with an error message. After reading your detailed post I am convinced I will not build my early retirement with these people. Thank you for the warning. I agree totally with you, anyone who has created a legitimate, valuable program would be proud to put their name on it. Thank you for stopping by and taking the time to read my review! I like this honest and unbiased review of Inside Profit Groups. So many online scams and the number are increasing by the day. I have heard of Insider Profit Groups with their bogus claim. To know its genuineness, I decided to search for a review on it, and I’m glad I have not fallen for their antics. 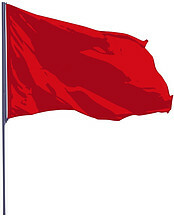 I understand all the red flags you listed and everything about the program look suspicious. I agree with you that to make money legitimate, one has to invest time, effort, and commitment; and not all these get rich quick program like the Insider Profit Group with bogus and unsubstantiated claims. I’m glad you found my review helpful! 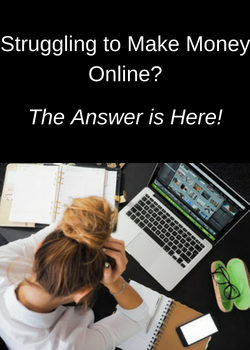 You definitely have the right mindset for success with an online business–do research to stay away from scams and the knowledge that it takes time and effort. Good luck! Excellent analysis! I am fascinated. I also believe that online business is a smart job in the modern age. You suggest Insider Profit for medium earn a lot of money in very little effort. Just we need passion to continue it. I think I should make a plan work at the Build Your Early Retirement .Thanks a lot for sharing this useful informational review. It was a really powerful post. I’m definitely not suggesting that Insider Profit Groups will make a lot of money with little effort. I’m not recommending it because those claims aren’t true! I have always known insider profit to be a scam and I need to appreciate you for writing this thorough review. I tend to be leary of just about everything that I come across online nowadays because i have been scammed a time or two myself and I really can’t afford it. The red flags that you raised are quite significant and I wouldn’t have gotten past the fact that there are no legal pages there. Obviously its cons outweighs its pros which does not makes it recommendable. You’re welcome! It’s good to be leery–it will save you a lot of time and money by being skeptical of any MMO program. A legitimate program will have no problem showing you the features they offer, and they will never promise a lot of money for very little work. Thank you for stopping by and taking the time to read my review! Thank you for exposing the scheme of this insider profit groups through your review. Everything in your post about this program is proven fact because you backed it all up with pictures. And the saying goes that pictures don’t lie. I try to show as much in my reviews as I can–sometimes the claims are so outrageous that it would be hard to believe they actually market that way without showing pictures! I would have to agree that Insider Profit Groups is a scam. Anything that offers that kind of income, little work required, and with all the upsells definitely screams scam to me. So I would have to agree with your review. I think it is great that there are reviews out on the internet like this one. I don’t know how many times I have been scammed….lessons learned…do your homework and make sure they are legit. When you are desperate to earn an income, I guess some pray and hope they are not a scam. I think you’re exactly right about those who are desperate. When you want so badly to change your life and make it better for your family, you tend to believe the marketing hype because you want it to be true so much. At least that’s the way it was for me years ago–it was an expensive lesson! Wow, you certainly have done your homework here. I would have abandoned the program the minute I couldn’t verify who the owners were. Thanks to this review, I am sure you will save many from making the mistake of spending their hard earned money here. Pity companies like Clickbank let their names be sullied by letting vendors in with dodgy sites such as these. I am an affiliate for Clickbank and it makes me sad to see products like this amongst some very good products. I have also found some great products to promote on Clickbank, however, the make-money-online niche seems to be the exception. I’m very glad they have a 60 day refund policy for your purchase price. Unfortunately, people still lose a lot of money with things like monthly subscriptions and paid traffic programs as they’re trying to make the program work.